Have you ever been geoblocked? The fight to end geoblocking in the EU has begun. Now, please scroll down to share this page with your friends. 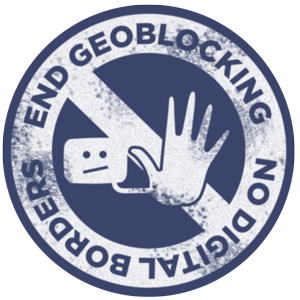 We can defeat geoblocking together! Linguistic minorities, long-term migrants, exchange students, etc. – 1 in 10 Europeans[ELEN] – are denied access to their culture online. Many artists' works are denied a Europe-wide audience – and fans ready to pay are turned away. Language learners, foreign sports league fans etc. are forced to pay VPNs instead of creators, or seek out illegal sources. The EU is supposed to be a single market. Geoblocking undermines that. The EU must act – like it did on roaming. Politicians, consumer advocates, minority representatives, startup associations, regional Parliaments and many more have come out against geoblocking. 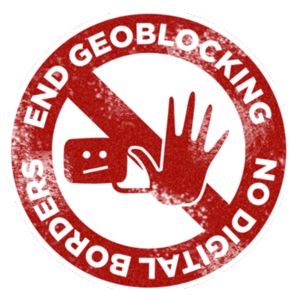 It's time to end geoblocking! We would never accept to show our passport when shopping on a high street ... Unfortunately this happens too often when going online. ... Discriminatory territorial practices should stop. ... This would curb piracy and help all consumers to enjoy Europe's cultural diversity. [We need] a targeted competition policy ensuring the prohibition of agreements for licenses which prohibit sales of services outside licensed territories. Deep in my heart, I hate geoblocking. ... To discriminate, using geoblocking, our citizens in the 21st century in the European Union is not acceptable. 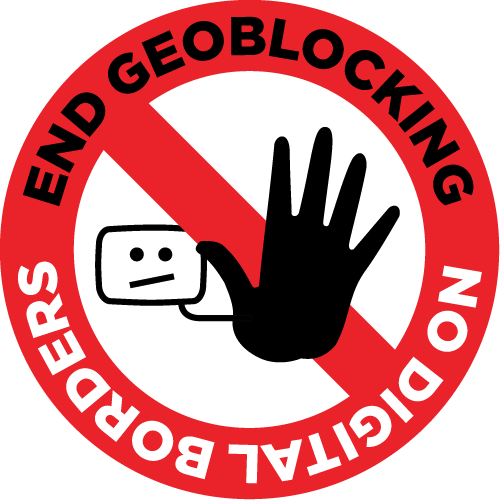 Geoblocking practices should not prevent cultural minorities living in EU Member States from accessing existing contents or services in their language that are either free or paid for. Allow «passive sales» for videos: Services should be allowed to do business with all people who find an offer, no matter where they come from. Licenses should only be able to restrict who they can actively advertise to. EU law forbids discriminatory[EU] and anti-competitive[EU] business practices. The EU must clarify that the common justifications for geoblocking conflict with these provisions. When crossing a border, users must be able to take their subscriptions to online services with them. All original content dedicated to the public domain (Creative Commons Zero). Please copy, remix and share.